Thats me over there on my wedding day. I now know what it's like to have all eyes on you for a day, for it to fly by before you've taken a breath and to cherish the photos that not only remind you of the most momentous day but of people you love the most - all together for the most fleeting of moments. I strive for relaxed and genuine interactions that make people feel at ease enough to let their real selves and emotions shine. I want to remind you of moments not poses, of emotions not just faces. Although the industry is intensely saturated, a wise photographer once said "every artist out there has their own style and every potential client has their own taste" (Ben Sasso). So if you like what you see lets meet up, hash out some ideas and see if we click! A celebration of love, life and the joining of two families. I believe in standing back and letting you do your thing, my job is to preserve the moments that happen naturaly - sometimes with a little direction to make sure those moments happen in the best light and with that epic backdrop in the right place! The portrait section of the day is such an important one but shouldn't feel like something to tick off, I aim to make it feel like an adventure with your best mate - and a couple of other real good mates. These sessions are about documenting relationships and connections. Outdoors is where I work best - natural light, beaches, parks and that famous late afternoon glow. Lifestyle sessions are a new passion, documenting you in the comfort of your own home surrounded by the things and people you love. I tell clients to stick closely to their regular routine - bouncing on the tramp, mud pies, bubble baths, bedtime stories and all that good stuff. Sessions are 60-90min and include 30-50 images edited on a USB and a password secured online gallery. October to April I am based in New Zealand, May through September I welcome any chance to escape the cold. Tropical is nice but even if its to somewhere even colder, if adventure is involved I'm there! It's a pretty amazing feeling when someone loves my work so much they invite me to photograph their day even though we may be oceans apart. I love to travel and have been fortunate to photograph weddings in Columbia, Vietnam, Guatemala and Rarotonga. Travel Costs are different for each wedding. It depends on how easy it is to get there from my current location and the possibility of turning it into a mini getaway for myself (and my husband if he's lucky). Please get in touch if you're having a destination wedding or live far from me, we'll see if we can make it work with your budget - you might be surprised! Tiffany was so lovely; she ‘got’ us and our vision for our wedding. She was professional, coming to our home to meet with us so it was convenient for us. She was warm and welcoming and so flexible around coming to Rarotonga and working with us on what we could get within our budget. She was not pushy; she just let her work and her warm personality speak for themselves. She was also very committed. She was there the whole day – even when I was sure she would have left she was still there ready to take more photos if we wanted her to. She was very relaxed and open to our suggestions of where to have the photos taken after the wedding (beach, abandoned hotel, forest). We wanted professional photos that we could treasure for a lifetime but we didn’t want it to cripple our budget. 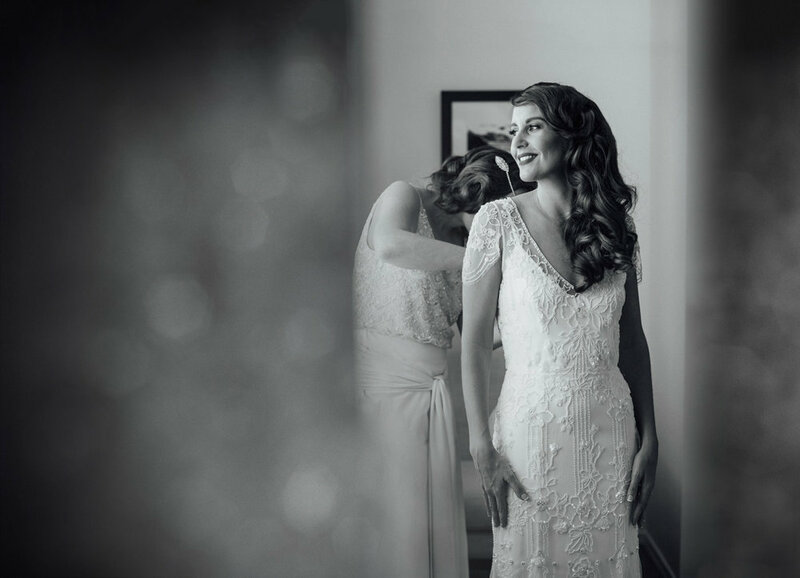 Tiffany encompassed all of our photography desires, she has a beautiful style of photography, she is easy to relate to and listened to what we wanted and put it into practice. We were completely comfortable with her, which was so important to ensure that our photos looked natural. Her beautiful photos speak for themselves; we were given an interesting and diverse range of shots, which tick all the boxes that we had on our checklist, we absolutely love them. Tiffany was such a pleasure to work with and many of our guests commented on her professional yet non-intrusive manner at the event. When we received our photos they were presented so beautifully, so much thought and attention to detail had been placed into them, it was outstanding, we couldn’t have asked for more. Tiffany was very re-assuring and helped to make us feel comfortable on camera. She was professional, but also very friendly. We would absolutely recommend Tiffany (we already have to several of our friends!) and enlist her to do our family photography in the years to come. The photos were fantastic quality and composition. She captured lots of great moments and gave us a huge selection of photos to choose from in fantastic time. I loved how relaxed Tiffany made us all feel, especially my husband who hates having his photo taken, my favourite photos are when we didn’t even realise she was taking our photo. I loved how natural she was, love her style of photos and how easy she is to work with. I recommend her to everyone. Her photos always look so new and natural.